At All Brite Painting Contractors, we specialize in cleaning and sealing. We do this for both residential and commercial customers located in Florida. We also work in new and old pavers. Using our paver sealing service in Deerfield Beach; you'll be able to be able to change the color or outlook of your current pavers. 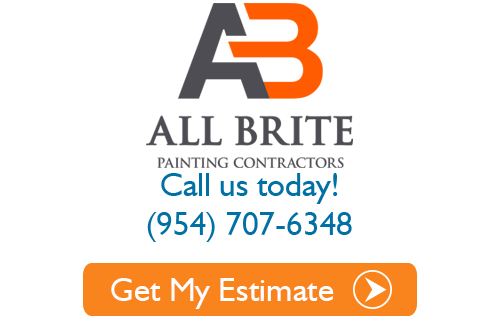 Whenever you hire us; you're not getting just a Deerfield Beach painting contractor, you're getting much more as we have over 10 years of experience to offer you. We can seal your driveway, courtyard, pool area and more. The first step in our paver service is to clean the surface. This will help in removing any stains, dirt, debris, or other buildup that may hinder the project. We also treat oil stains and spills that may be present during the time of action. Appearance is everything when it comes to your exterior. Your hardscapes can be focused on with a sealing job from All Brite Painting Contractors. This helps to bring out the vibrancy and color of the paver's natural color. Deerfield Beach paver sealing could also increase the value of your property. Our sealing process will improve the maintenance by making it easier to clean. Maintenance is important for driveways and courtyards as they are traveled on daily. Through the years; if left unattended to begin to crack and buckle. A sealed surface is a lot more resistant to stains that are desired. Stains such as oils, spills, drinks, and other stains that can ruin your hardscape. Sealers, in Florida, can also protect against the harsh salt and other caustic agents. Sealing in a hardscape will not allow it to “yellow”. It also protects it from fading. Needless to say; it is a preservation agent that will keep you from having repairs and costly replacements. Soc protect your hardscape today. Pavement that is reinforced improves the integrity of it by stabilizing the joint sand. It also deters weed growth and insect productivity which are two things that can quickly take over your driveways or other hardscape. Sealing the pavement is a fast way to improve and add to the elegance to a home. We offer intricate deigns and a wide assortment of colors. 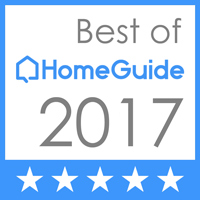 It's not very hard to see why this service is popular for almost all homes in Florida. Don't take matters into your own hands; call in the Deerfield Beach paver sealing experts from All Brite Painting Contractors. We can make your outdoor environment improved. Call today and have an evaluation done. 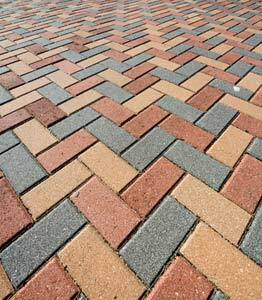 If you are looking for a paver sealing professional then please call 954-707-6348 or complete our online request form.